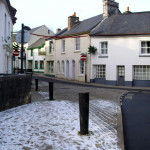 The historic mill town of Buckfastleigh and the neighbouring abbey village of Buckfast, can be found nestling on the southern edge of eastern Dartmoor in Devon just off the A38, midway between the cities of Exeter and Plymouth. The name "Buckfast" means "stronghold" – traditionally a place where deer and buck were held, and "Leigh" would have been the pasture belonging to Buckfast – hence the meaning deer held in a pasture (buck-fast-leigh). Buckfast probably existed before Buckfastleigh as it is mentioned in the Domesday Book and in 1018 a Benedictine Abbey was founded and endorsed by King Canute at Buckfast. Elections for the Town Council and the District Council are coming up on 2nd May. You can vote for 12 Town Councillors and 3 District Councillors. 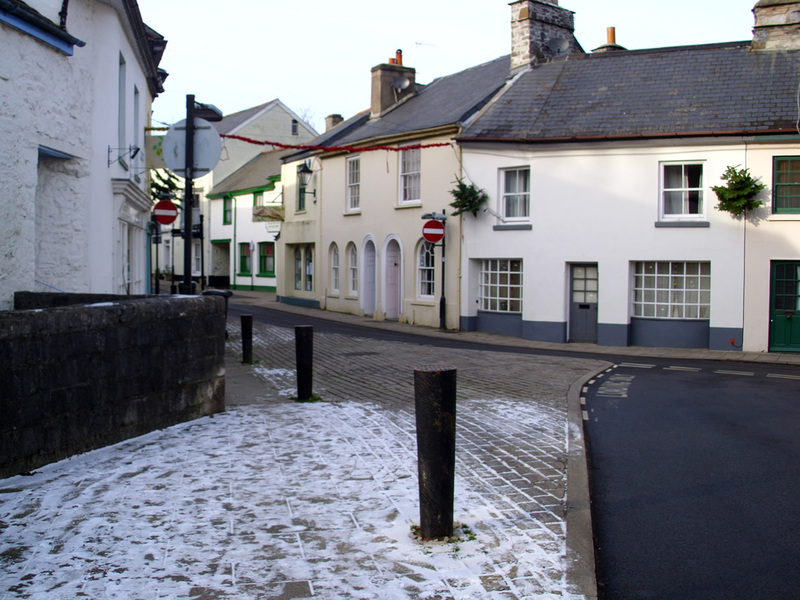 Statement of Persons Nominated for Buckfastleigh can be found here. Statement of Persons Nominated for the Ashburton and Buckfastleigh Ward can be found here. If you are not registered to vote (especially if you have recently moved here or have not registered since turning 18), you need to sign up here. Find out more about the election timetable and how it all works here. 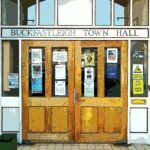 "The Town Council have decided to raise the Council Tax Precept (the portion of council tax that comes to the Council for spending in the parish of Buckfastleigh & Buckfast) by £5.43 a year (about 10p per week) for the average Buckfastleigh household from April. The increase amounts to 6.63% (£7) per year for a band D home. This is to replace the loss of the last £9,000 of funding Teignbridge District Council gave to the parish - we now have only what we can raise as a town from Council Tax and from grant applications. The increase will leave the Town Council with the same basic income as last year. We will still be running our ‘Hello Summer’ daily activity program for young people during the holiday period, which families have told us makes all the difference to them. We will continue to provide our full range of services which include employing the Town Ranger and providing the Citizens Advice Outreach Service as well as providing grants to community projects throughout the community - like Victoria Park and Pool, the Town Hall and many, many more. We will also carry on working to pull in grant money so that we are able to expand the services we provide to support the local community without putting more financial pressure on local people." You can read here a current summary of the major housing developments in our town that are either currently being considered by Dartmoor National Park planners or are proposed. Thanks to everyone who's contributed to the fund to help those affected by the terrible events at Barn Park. 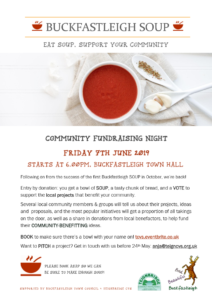 You can still make donations via this link or if you prefer, cash donations can be made at Buckfastleigh Post Office or at the Town Council office in the Town Hall, which is open Monday to Friday 9.00-1.00. 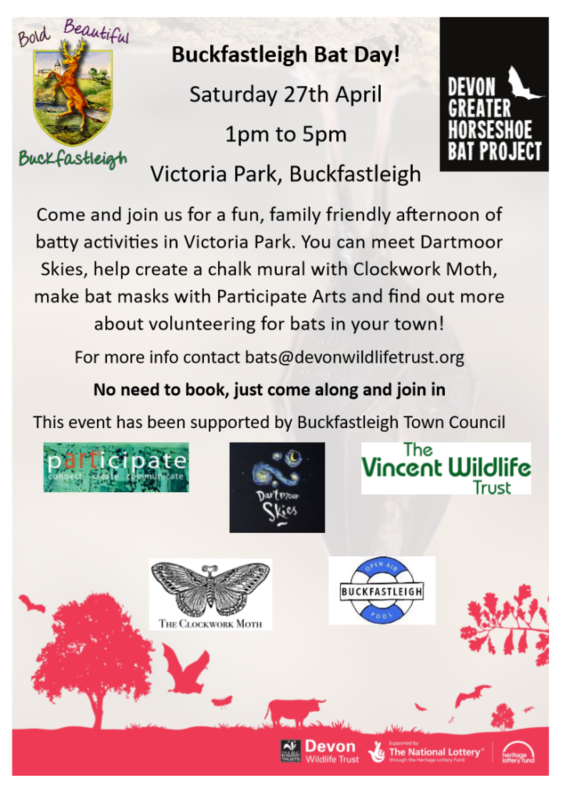 Or you can write cheques to Buckfastleigh Town Council and mail them to The Clerk, Buckfastleigh Town Council, 33 Bossell Rd, Buckfastleigh TQ11 0DD. 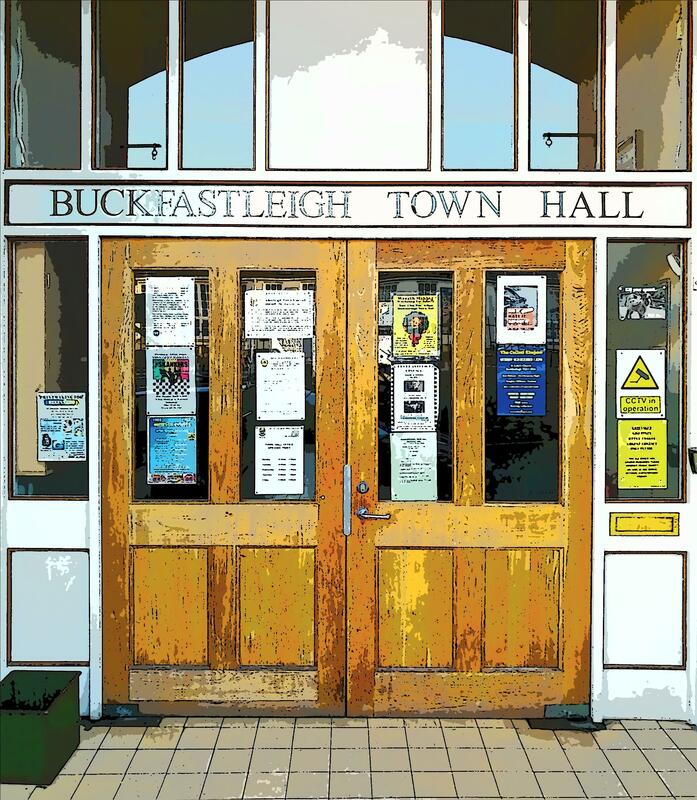 Buckfastleigh Town Council at the Town Council meeting held on Wednesday 13th March 2019 passed a 'Climate Emergency' motion aiming for our community to be carbon neutral by 2030. We cannot achieve this goal on our own and we will need to get our community and government on-side to have any hope of achieving it, but by committing to the process in this proposal we can make a start and show the way. The group will have the support of the Town Council and they will attempt to implement its recommendations.